Tremough Innovation Centre-based Channel Computing has expanded its digital marketing team. Helen Trudgeon, who has previously led the Partner to Succeed business collaboration project in Cornwall, will focus on growing the web development company’s digital content and marketing services. 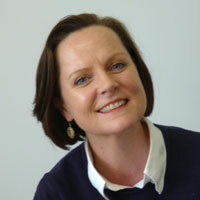 Channel director Ann Barrington commented: “Channel has always delivered an integrated approach to web development and marketing, and with Helen joining us to work with clients on their search engine optimisation (SEO) and Social media marketing campaigns, we are now able to expand our offering in this area. @channel_com @biz_cornwall @helentrudgeon1 Good luck Helen, have fun!